The Garden Route and Klein Karoo is one of the most beautiful regions in South Africa! This breathtaking area, which stretches all the way from the Hessequa region to the Bitou region (Plettenberg Bay). The GR&KK is situated on the southern coast of South Africa. A 250 km coastline stretch that includes gorgeous nature landscapes, diverse flora, fynbos, breathtaking mountains and spectacular blue flag beaches. With the magnificent Langeberg and Outeniqua Mountains on one side and the glorious blue Indian Ocean on the other.The Garden Route might easily be mistaken for paradise. The Garden Route and Klein Karoo offer flora that is unique to this area.The charming little towns are overflowing with culture and special people. 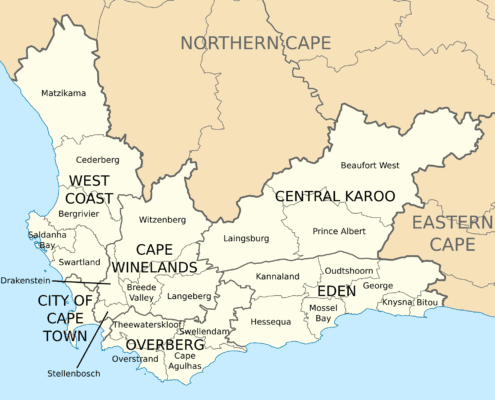 The seven regions namely Hessequa, George, Greater Knysna, Oudtshoorn, Plettenberg Bay Mosselbay and Kannaland makes out – The Garden Route and Klein Karoo. The yellow Canola fields, Langeberg Mountain range of Hessequa, and the magnificent Tsitsikama woods of Knysna are some of the unique features this region offers. Some of the fynbos found in this area can only be found at one other location in the world. We also boast with the Knysna Loerie, the Black Tobie, Cango caves and other endangered, unique animals. The free Garden Route and Klein Karoo app contains all of the region info for the seven regions. Also most of the unique and beautiful towns found in this area. Make sure to Download this great free App on your mobile device and see what the Garden Route and Klein Karoo has to offer.